We’ve got some valuable information about Toyota’s full-size SUV. First of all, the next generation of Sequoia is going to arrive sometime next year. The rugged SUV will most definitely get a new architecture which will keep body-on-frame characteristics, yet it will be common for a range of future Toyota nameplates. This way, the company continues to cuts production expenses and thus stays competitive. The platform that’s currently known as the F1 will reportedly underpin the automaker’s entire pickup truck lineup and several SUVs including the 2021 Toyota Sequoia. Aside it’s going to be modular, the new chassis will most definitely support the manufacturer‘s latest technologies; plus it’s going to cut some pounds thanks to lightweight construction. Yes, our sources claim that the future the carmaker intends to use steel for ladder while the bodywork should be mostly aluminum, so the full-size SUV could lose several hundred pounds without any problem. The Japanese automaker strives to improve the fuel economy of its entire lineup. Lighter bodywork will definitely help, but that’s not enough. This is why they‘ve decided to seek some help from Lexus. Toyota’s luxury brand owns an amazing V6 option which delivers V8 characteristics. This turbocharged 3.5-liter V6 provides 421 horsepower and 442 pound-feet of torque, so it will easily replace the aging and thirsty 381-hp V8. Also, today’s 6-speed auto gearbox will make space for the smooth-shifting 10-speed transmission. As far as we’ve heard, the engine will feed either rear- or all-wheel drive system. Some reports claim that the automaker has no intention to throw away the current 5.7-liter V8. According to the rumors, the V8 option will stay among options, though it will be improved by a mild-hybrid aid. Toyota will allegedly make things as simple as Ram did with its eTorque which is basically an “extra push” for the engine. This electrical generator should contribute to the SUV’s payload and towing capacities which are currently on the low end. Don’t expect to see a car-like design of the 2021 Toyota Sequoia. However, the full-size SUV will definitely receive more dynamic lines in order to additionally improve fuel efficiency. Of course, the next-gen model will be redesigned inside as well. Words on the street say that the automaker won’t miss the chance to change the complete picture inside. Meaning, the SUV should host a new dashboard, an entirely new instrument cluster, and a new, bigger, and better infotainment screen. The 2021 Sequoia will keep seven- and eight-seat arrangements, though the redesigned model should provide additional room inside thanks to the new platform that should enable more space. 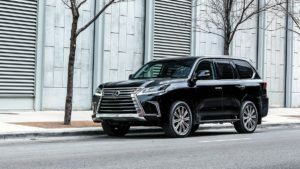 It’s unnecessary to say that the large SUV is going to get the latest version of Toyota Safety Sense because the Japanese automaker intends to cover the entire lineup with the awesome driver assistance technology. Though, taking into account that we are talking about the flagship SUV, we would not be surprised to see some upscale options like nighttime pedestrian detection and accident avoidance, as well as a “transparent” A-pillar. The next-gen Toyota Sequoia hasn’t been spotted testing so far, so we can’t really know all the details. Still, taking into account that the automaker intends to introduce the redesigned SUV before the end of next year, we should catch some prototypes, so stay tuned for updates.